When you only have x vacation days a year, not using them to go on holiday can make life seem, well, not worth living. What’s the point in all those long hours at the office if not for those short-lived periods of respite, when you finally get to enjoy life away from the daily grind? If you’re on a budget, you might be facing the conundrum of how to enjoy the holidays without having to eat into your savings. Well, here are 3 experiences you can enjoy without leaving the country or spending hundreds of dollars, but that will still give you the sense that you’re away from home. Every public holiday, planeloads of Singaporeans eagerly flock to neighbouring countries to enjoy a tropical island experience, lounging on beaches, snorkelling and riding bicycles through dusty roads lined with jungle foliage. Well, guess what, Singapore does have its own tropical islands, notwithstanding the fact that the “mainland” has been urbanised. Here’s a list of the most accessible. Sisters’ Island Marine Park – Snorkel, swim and sunbathe on the beach on the Sisters’ Islands. Book an NParks-organised guided walk here and boat transport will be provided free of charge. Pulau Ubin – Ride a mountain bike amidst jungles seething with mosquitoes. Bumboat ride from Changi Point Jetty costs $2. 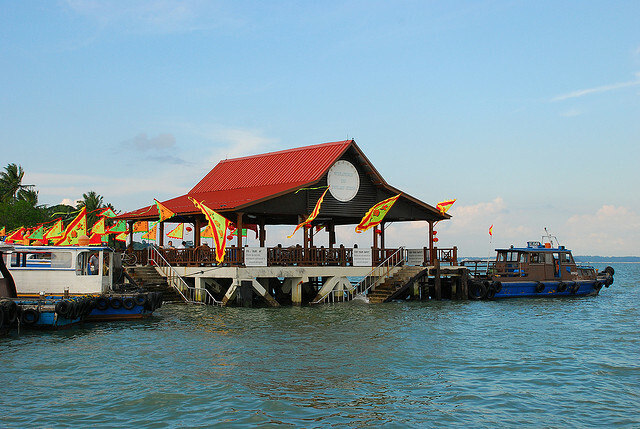 Kusu Island – Picnic on the beach or check out the Malay shrines and Chinese temple. $18 for a return ticket; you can throw in St John’s Island too. St John’s Island – Popular with people looking to go camping or stay in a chalet. $18 for a return ticket; you can throw in Kusu Island too. Lazarus Island – More undisturbed than St John’s, the island can be accessed by walking across a link bridge connecting it to the latter. I’ve never really been a fan of the suburbs. Something about the white picket fences and Stepford wives unnerves me. But seriously, the suburban areas in Singapore aren’t that characterless. You just have to check out the likes of Bishan Park and the Telok Blangah hiking trails to realise that there are quite a few attractions in the wilds. Embarrassingly enough, there are quite a few neighbourhoods I’ve never set foot in, including Tampines, Sengkang and Ang Mo Kio. Oh, the shame. Instead of paying good money to wander around in another city, map in hand, do that right here with a copy of the street directory (in mobile app form for those of us under 100 years of age). Here are some suburban spots to check out. 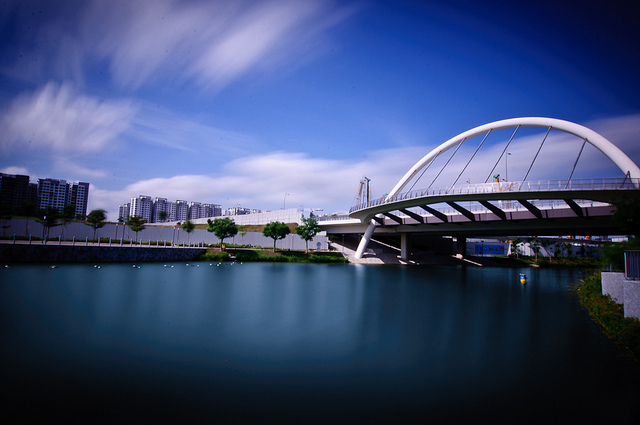 Punggol Waterway Park – Punggol is about as ulu as it gets (hey I’m a westie), but brave the long ride and you’ll be rewarded by a riparian landscape that actually looks quite rustic. Buangkok – The last kampongs in Singapore. No need to go all the way to Malaysia. Check them out before they disappear. Queenstown – Sick of the Botanic Gardens? Walk around the gardens at HortPark, explore the butterfly garden (not for those who are afraid of insects) or chill out at Vineyard, a chic French bistro. Jurong East – If shopping malls are more your thing, you’ll go nuts at the malls Westgate, Jcube and JEM. Then hop over to the Science Centre, which recently lowered its admission fees. It’s easy to forget that there are tons of hiking trails all over Singapore (even if you will be walking on tarmac), probably because most people here melt and die à la Wicked Witch of the West the moment they step out of air conditioned areas. Then they pay good money to go jungle trekking in Sabah or attempt to climb Mount Everest. It took me over 20 years of living within walking distance of the Bukit Timah Hill to finally try walking up the darned slope, and I’m sure there are others like me as well. Here are some of the better known hikes and trails. The Rail Corridor will have you plying the path of the former KTM Railway Track. The Bukit Timah Nature Reserve, still under renovation, is now open to the public on weekends. Have you tried any of the above? Leave your reviews in the comments!